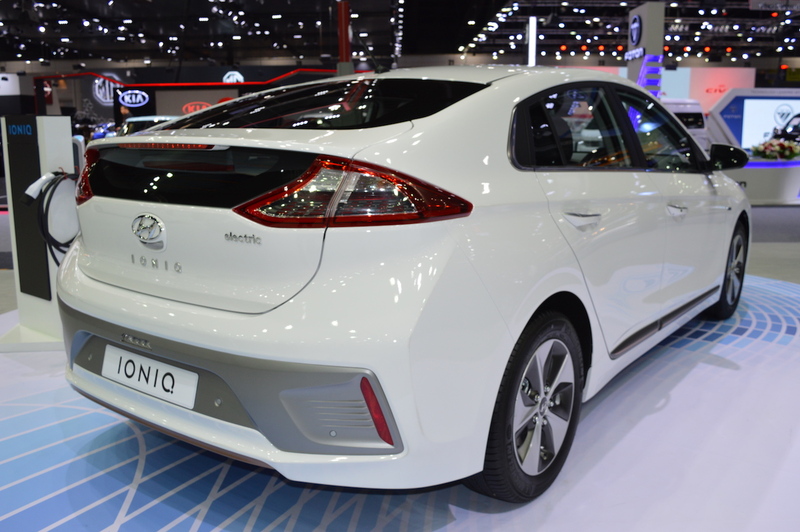 Hyundai is displaying the Hyundai Ioniq electric at the 2017 Thai Motor Expo. The electric car went on sale internationally last year. The Hyundai Ioniq electric is the greenest of the Hyundai Ioniq trio of eco cars. It features a cleaner front-end compared to the Hyundai Ioniq hybrid and Hyundai Ioniq plug-in since the motor does not require cooling. Other exterior highlights include LED headlamps and rear combination lamps with a unique pattern, copper or silver coloured character line below the bumpers and C-shaped LED DRLs. Blazing Yellow colour is exclusive to the Ioniq electric. On the inside, the Ioniq electric gets copper trim, 8-inch touchscreen infotainment system with navigation, Apple CarPlay, Android Auto and wireless charging for smartphones and chrome-accented gear knobs, pedals footrest and door scuff pads. 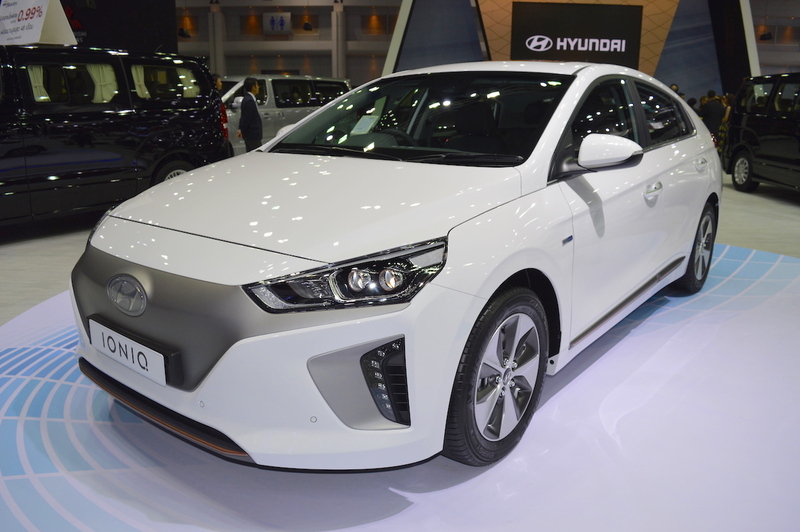 The Hyundai Ioniq electric is 4,470 mm long, 1,820 mm wide and 1,460 mm tall. It has a 2,700 mm wheelbase. It is powered by an electric motor that generates 120 PS and 295 Nm of torque. The electric motor is connected to a 28 kWh battery that gives up to 280 km of driving range on a single charge. The Hyundai Ioniq electric has two charging ports, one for standard charging and one for fast charging. Full charging takes approximately 12 hours using a standard household socket. This time reduces to 4 hours 25 minutes using a special wall box charger. DC Fast Chargers can charge the battery to 80% capacity in just 23 minutes.